According to The Content Marketing Institute and MarketingProfs, 93% of B2B marketers and 90% of B2C marketers are using content marketing in their overall strategy. Think about that in terms of volume. Sure, content marketing is mainstream… but it may also be in trouble. People, in general, are constantly connected and seemingly busier than ever. As a result, we are being exposed to unfathomable amounts of catchy headlines, status updates, memes, videos, news and general information daily. This has allowed most of us to develop the ability to make a decision on whether something is worth our time in just milliseconds. It’s also led to our intolerance to mediocre and/or copycat content. In any given industry there are a few pioneers who started using content marketing early on and have evolved their efforts to meet the needs and wants of their audience (kudos to you). Unfortunately the majority of the content publishers in each industry are just now starting to do what the leaders have been doing for years. This leads to a lot of repeat or similar content and doesn’t offer much value. Yes, you read that right. This time I’m talking about the actual format of the content. Brands who are just getting in to content marketing or haven’t fully invested in the strategy are using the same formats that have already been proven to be successful. I’m not even just talking about blog articles or infographics, I’m talking about copying the structure of content within the format as well. You’ll never run out of “25 Ways To ____” blog articles or “The History of ______” infographics. They say Genius Steals, but they usually forget to explain the important part: You have to add to the original idea to make it a success. Enough with the doom and gloom, right? Let’s get down to business. To break the cycle we’ve created, we have to understand the pattern, and it’s really as simple as the adoption curve. At first, the innovators were blogging and publishing infographics, and then everyone else started doing it. Now the innovators are moving on to more valuable and more engaging content and I’m challenging you to step up and do the same. Using generic stock photos your blog posts is pure laziness at this point. The Internet in general is becoming a more visually driven platform, and we all need to start considering the visual aspect of our content to be just as important as the written part. Buffer recently published a great list of tools and resources for creating your own graphics and I put one together a while back as well, but here are some you may not know about. This is the perfect tool for creating simple graphs in a variety of visual formats. The simple editor allows you to input your own data, choose the chart format and then customize the colors and appearance. This tool creates embeddable graphs (like the one you see below) using HTML 5, but you can always just grab a screen shot if you want the image itself. Even if you don’t have data you need to illustrate, you can use it to make a point. This is a fairly new app that lets you take a 3D image of pretty much anything you can find. It’s not perfect, but it adds a new level of interactivity and engagement to your images. You are limited to what you can photograph, but I’m sure you can get creative. Once you publish an image, you’ll have the option to embed it, like this. Facebook, Twitter, Pinterest, Vine and Instagram all give you the option to embed your posts. 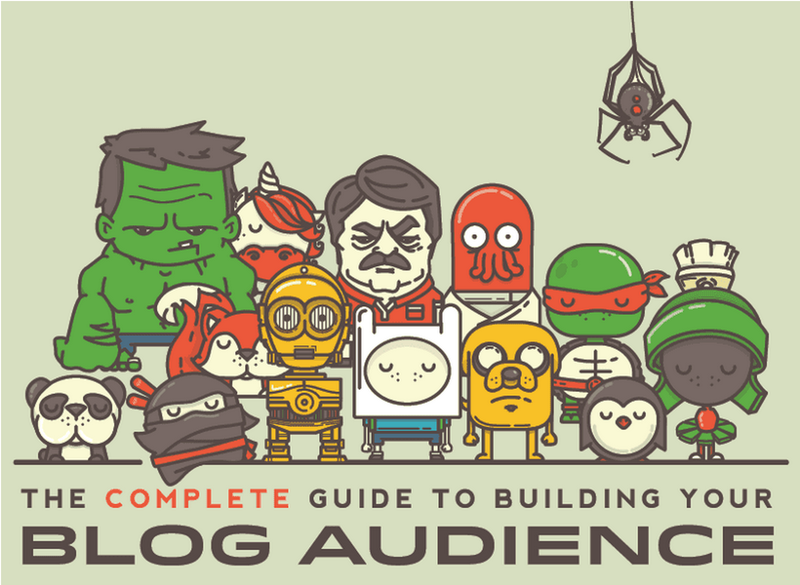 This makes your blog more social while non-invasively promoting your other social channels. You can also use more creative images that you find through the social networks without having to worry about getting in trouble for using them. That should be a great start for evolving your blog content, let’s move on to larger content projects like infographics and ebooks. While infographics still serve as a great format to communicate a powerful message, we’re starting to get tired of seeing the same old thing. There are standard infographics out there on just about anything you can think of. So what do we do to stand out? I have two suggestions for you. Thinglink is a lesser-known network/app that allows you to add interactive tags to images that you upload to it. These tags can be customized and can do anything from playing a video to showing a location on a map and anything in-between. This allows you to add new depth to the traditional infographic format. Add a playable podcast on the specific subject in part of your infographic. Add a video that further explains a section or provides relevant entertainment. Link to reports or sources so people can access the research without having to read the tiny font at the bottom. Add tags that invite people to share the project on their social networks or that link to existing social posts that are relevant to the project. Bonus: Install the Thinglink plugin for WordPress and add tags to any image you have on your site. We’re starting to see infographics pop up in GIF format and they are pretty slick. Just this month I found one on How Social Signals Impact Search Rankings and another on Innovations In Animation. Here’s the full infographic, so you can see the animation. The animations are used to either emphasize focus points of the infographic or to further illustrate the information presented in the content. This is a newer format that is really just getting tapped so I’d expect to see a lot of creativity come through GIF infographics in the near future, hopefully from some of you. While downloadable pdfs still have a purpose, we’re starting to see microsite ebooks and interactive resources come to power. For an example of microsite ebooks, check out Quicksprout. These projects can be designed using simple CSS and give you the opportunity to enhance the project through existing resources, external resources or apps that you find on the web. Rich Media Like Podcasts or Videos, Slide Decks, etc. We’ve all taken online quizzes or polls and we’ve all seen some interactive websites out there, but interactive, personalized resources are on the rise. These tools or resources offer more than information. They offer functionality. And people like them. Want to plan a weekend getaway with that special someone? InsideHook has the perfect tool for you. Want to get a simple understanding of how your website (or a competitor’s) is performing? Check out Neil Patel’s site analyzing tool. Clearly, if you want people engaging with your website, you need to become more interactive. If there’s something you can create to make life easier for your customers and your readers, you should make it, before your competitors do. Technology is moving at the speed of light and I don’t expect it to slow down anytime soon. That means that there will be countless ways for you to take your content marketing to the next level. Still hungry? Here are some other content projects that caught my eye. Share anything I may have missed. 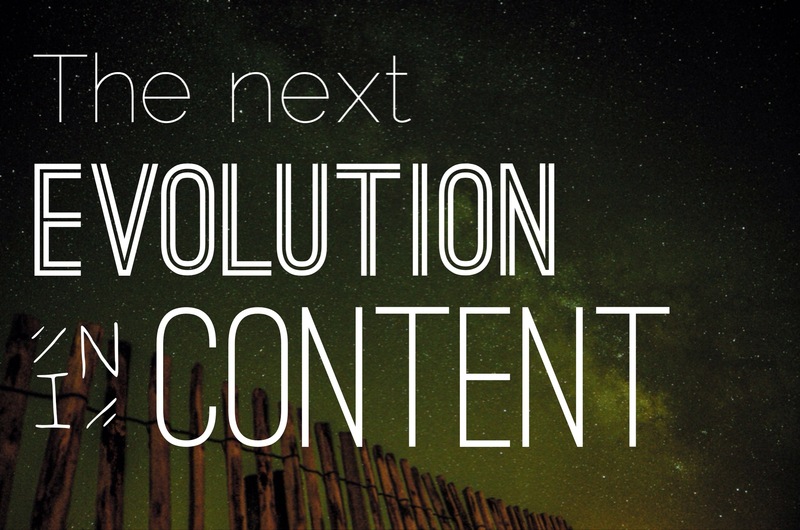 The post Content Marketing 2.0 – The Future of Content appeared first on The Daily Egg.